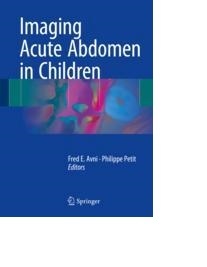 This book aims to equip readers with a sound understanding of the imaging strategies that are appropriate in children with acute abdominal conditions. The starting points are the clinical conditions, which are outlined in an introduction presented by pediatrician experts in emergency medicine, and the age groups, with differentiation of children and infants from neonates. The various conditions and their frequency are documented in detail, with clear description and illustration of the presentations on different imaging modalities. A large majority of the included images are from recent examinations and have been obtained using the most up-to-date techniques. The therapeutic impact of imaging is also explained, and the coverage is completed with helpful decision trees and tables of differential diagnosis. At the end of each chapter a concise resume underlines the main points. Imaging Acute Abdomen in Children will be of value for pediatric and general radiologists, radiologists in training, pediatricians, pediatric surgeons, emergency pediatricians,and others with an interest in the subject.